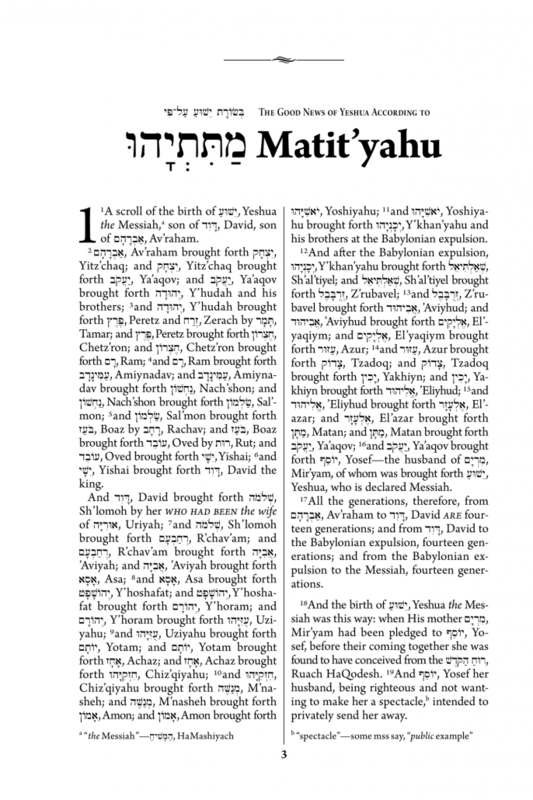 The Messianic Jewish Literal Translation of the New Covenant Scriptures (MJLT NCS)—Matit’yahu (Matthew) through Revelation—is a fresh, vibrant translation of the “New Testament” unlike any other. Based on the groundbreaking Young’s Literal Translation (YLT), the MJLT NCS is an exhaustive update and re-rendering of the YLT for the modern, Messianic reader. 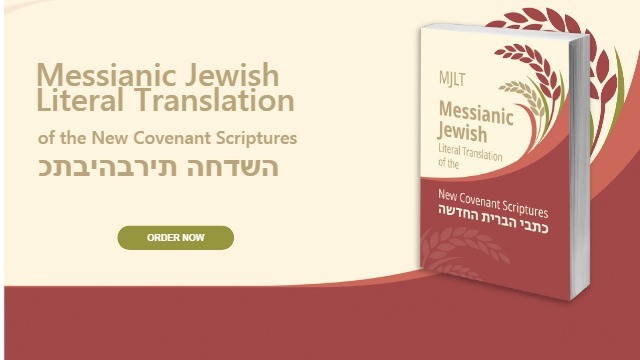 It is designed not only to provide a reliable 21st century version of the text, but also to further restore the true, Messianic Jewish perspective of Scripture that is often obscured by deeply ingrained anti-Jewish, anti-Torah preconceptions. This distinctive Bible version contains several uncommon features that set it apart from other modern and Messianic translations. 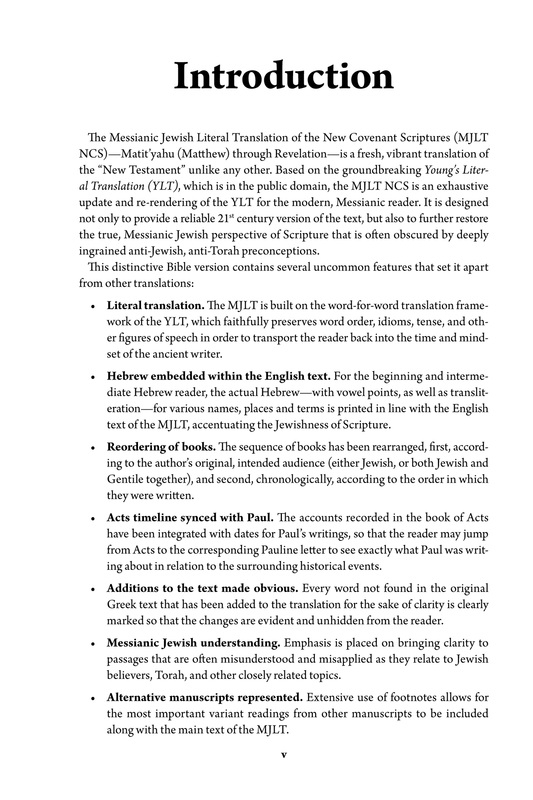 The MJLT is built on the word-for-word translation framework of the YLT by 19th century Scottish linguist Robert Young, LL.D. 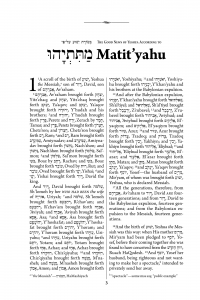 Young sought to faithfully preserve word order, idioms, tense, and other figures of speech in order to transport the reader back into the time and mindset of the ancient writer. 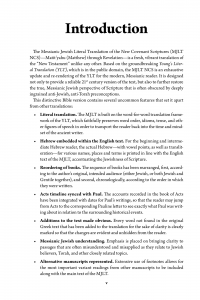 He saw the necessity of a literal translation as being tied to the work of responsible translating: that is, the preservation and recommunication of only the original sense and meaning of the text. 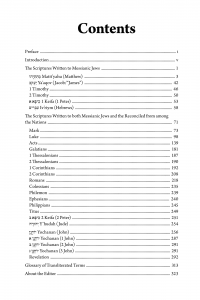 He considered any other mode of translation as needing to impose interpretation upon the text, thereby straying from the author’s original message, and thus exceeding the essential work of the translator. The MJLT’s updating, editing and revising of the YLT is the work of Messianic Jewish teacher Kevin Geoffrey. 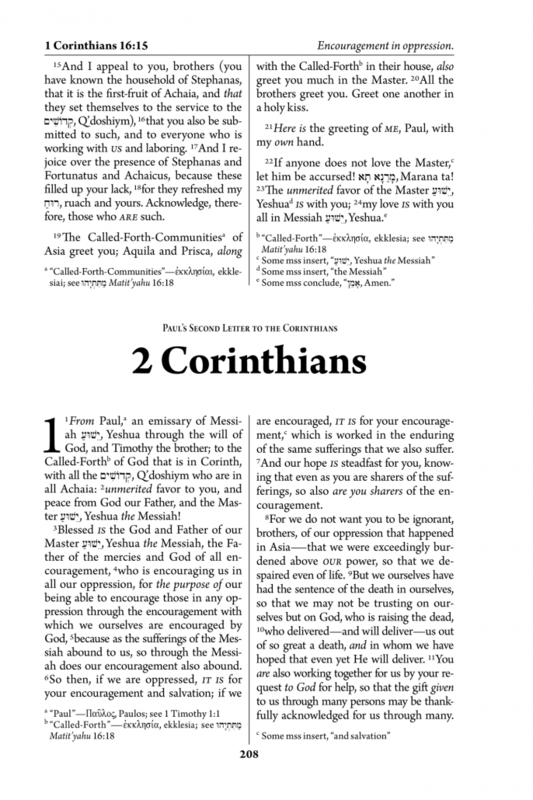 Kevin is best known as an author, having published seven books to date, including the Messianic Daily Devotional, The Messianic Life: Being a Disciple of Messiah, and Bearing the Standard: A Rallying Cry to Uphold the Scriptures. 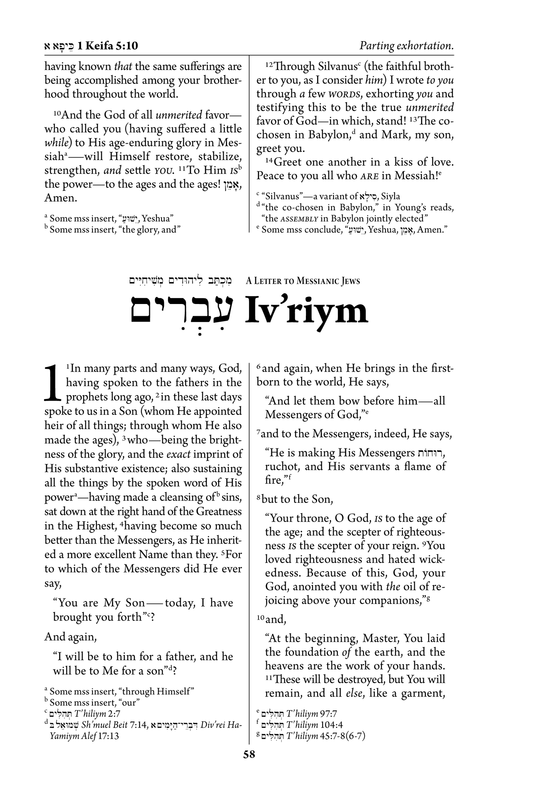 Born out of a desperation to provide his children with a Bible that would not only nurture their growing Messianic Jewish faith, but also be an utterly reliable, trustworthy and to-the-letter accurate translation of the Scriptures, the MJLT is the result of Kevin’s meticulous, Scripturally sound reworking of the 19th century YLT in a way that is compatible with and supportive of the language, understanding and identity of being a Messianic Jew. 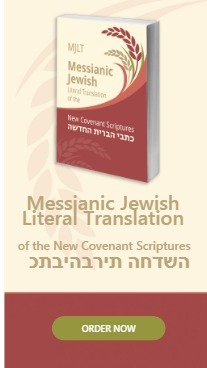 Ideal for Jewish believers in Yeshua, the MJLT NCS is for anyone—Gentile believer and Jewish seeker alike—who wants not only a translation that preserves the authentic Messianic Jewish perspective of God’s Word, but also endeavors to supply the truest, most complete representation of the original languages of Scripture in English. 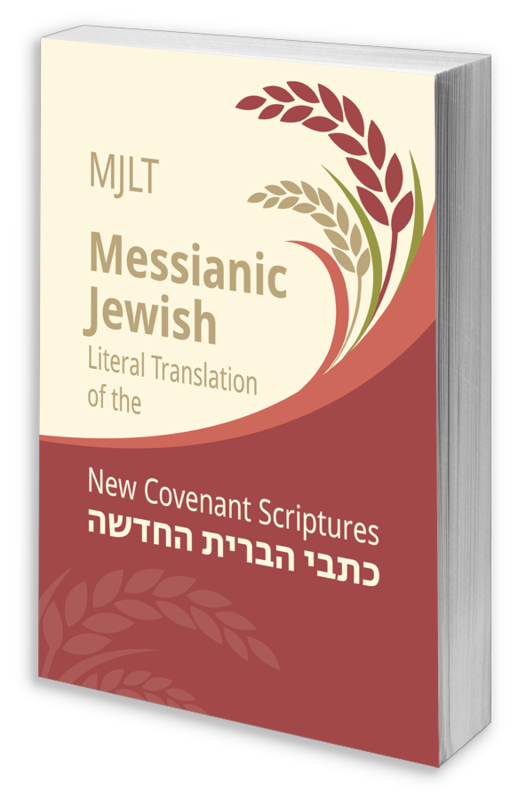 The MJLT NCS uniquely provides those who “desire the word’s pure milk” with an accurate and faithful rendering of the original biblical text that helps to reveal and make better sense of the Messianic Jewish message of the New Covenant Scriptures. 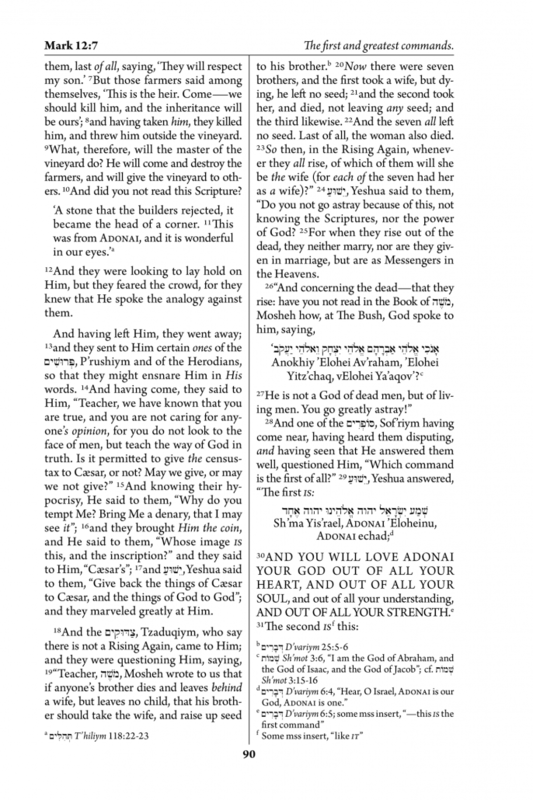 [We] were being guarded under the guardianship of תּוֹרָה, Torah—completely shut in to the faith about to be revealed, so that the תּוֹרָה, Torah became our child-conductor, leading us to Messiah, so that by faith we would be declared righteous. 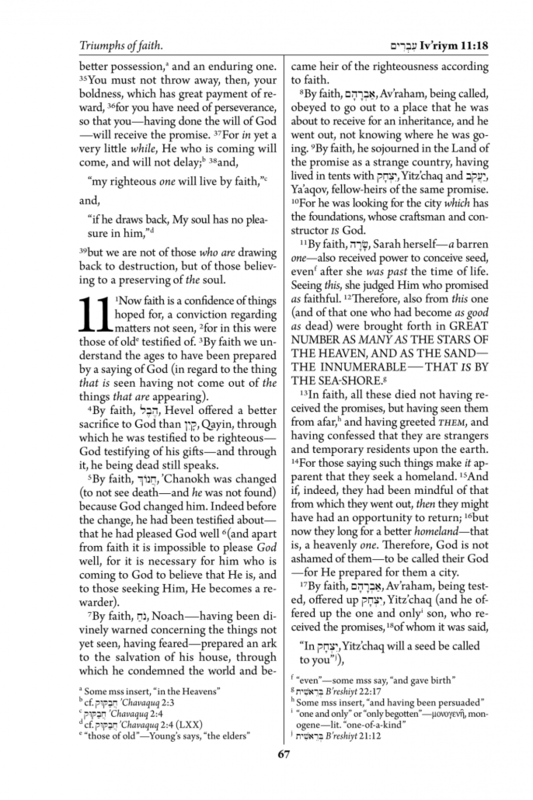 [We] were being guarded under Torah—bound together until the coming faith would be revealed. 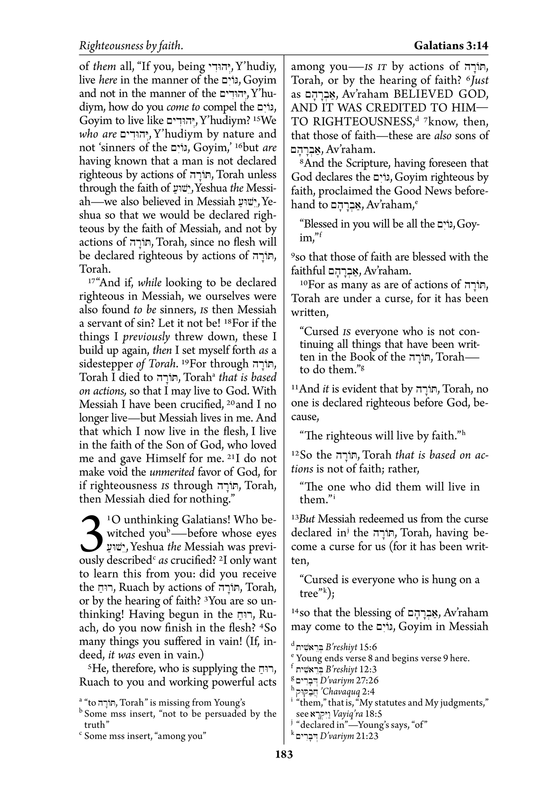 Therefore the Torah became our guardian to lead us to Messiah, so that we might be made right based on trusting. 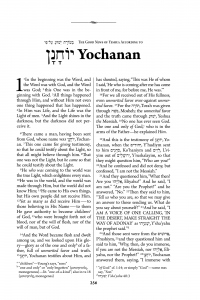 [We] were imprisoned in subjection to the system which results from perverting the Torah into legalism, kept under guard until this yet-to-come trusting faithfulness would be revealed. 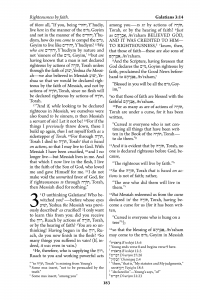 Accordingly, the Torah functioned as a custodian until the Messiah came, so that we might be declared righteous on the ground of trusting and being faithful. But through the unmerited favor of the Master יֵשׁוּעַ, Yeshua, we believe to be saved, even as they also do. 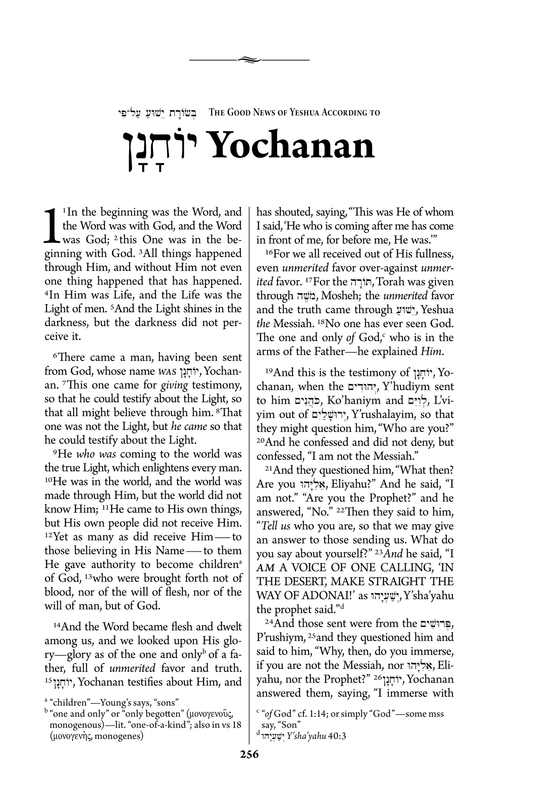 But instead, we believe that we are saved through the grace of the Lord Yeshua, in the same way as they are. 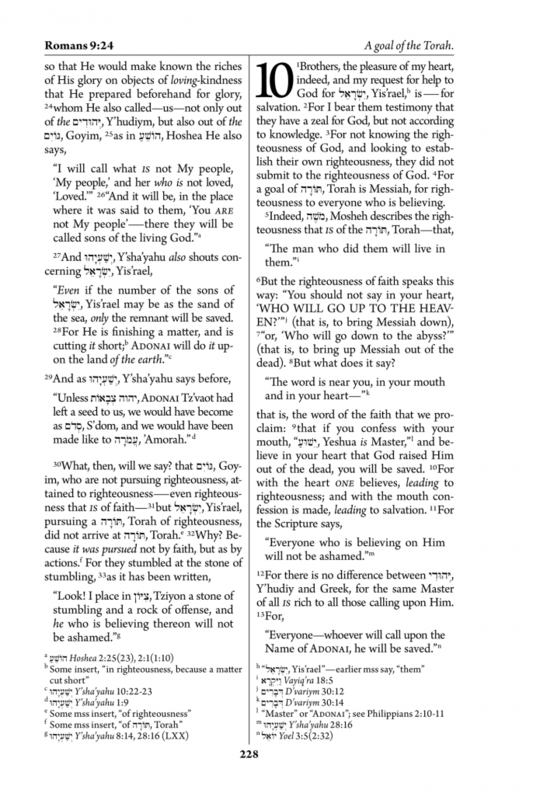 No, it is through the love and kindness of the Lord Yeshua that we trust and are delivered—and it’s the same with them. Our Father who is in the Heavens! Set apart is Your Name. 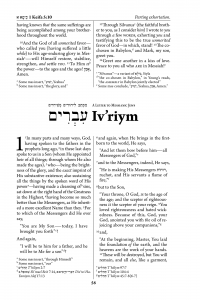 Your Reign come: Your will come into being, as it is in Heaven, also on earth. Our Father in heaven, sanctified be Your name. 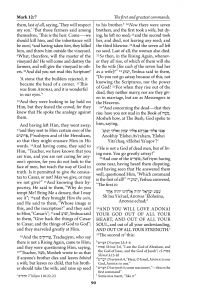 Your kingdom come, Your will be done on earth as it is in heaven. 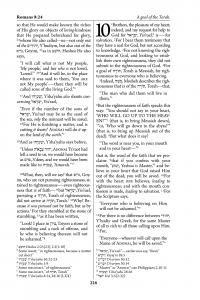 Our Father in heaven! 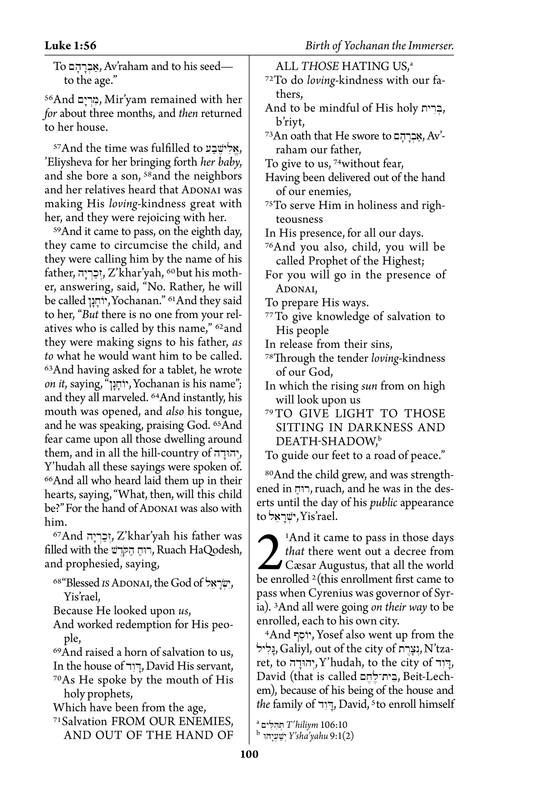 May your Name be kept holy. May your Kingdom come, your will be done on earth as in heaven. 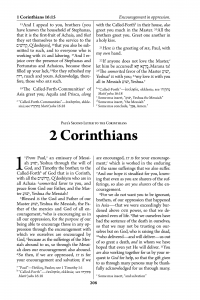 Click below to place an order for your copy of the MJLT NCS today! 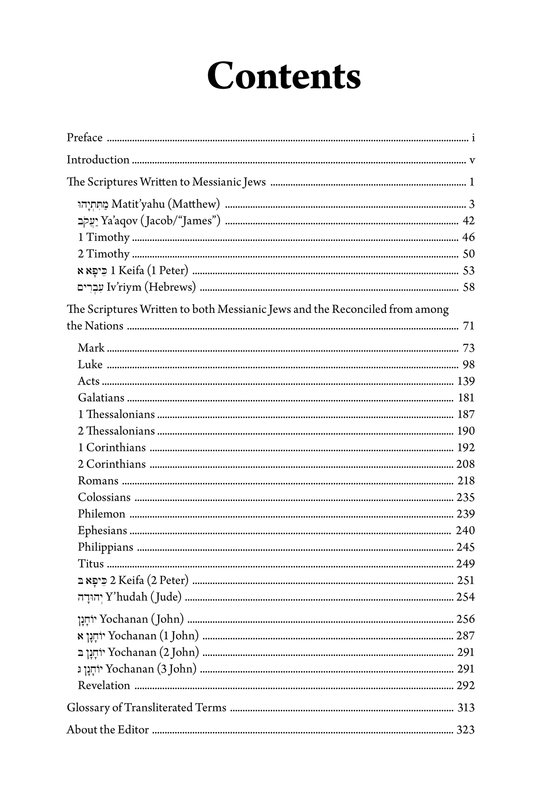 Help support the full MJLT translation and the work of Perfect Word Ministries!